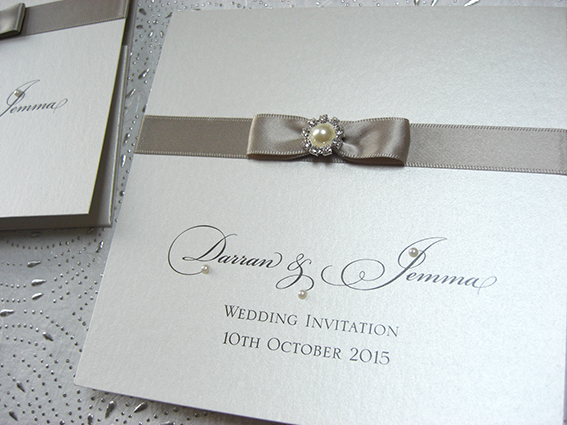 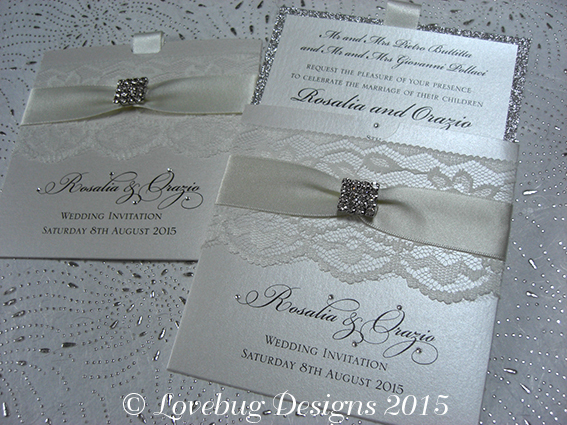 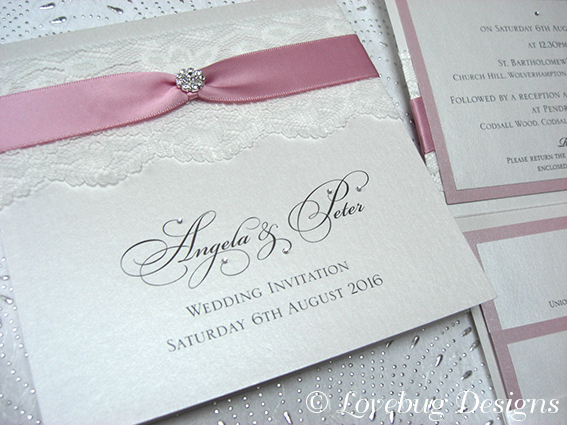 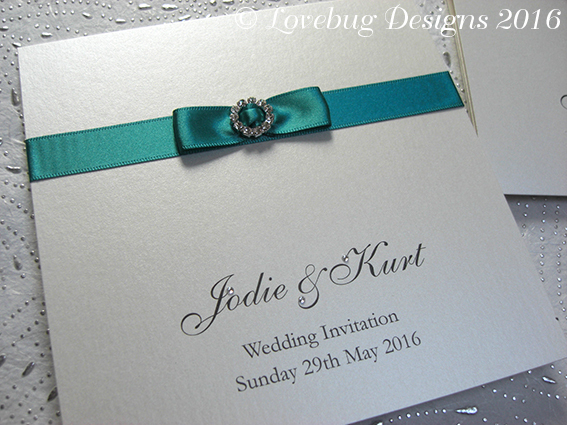 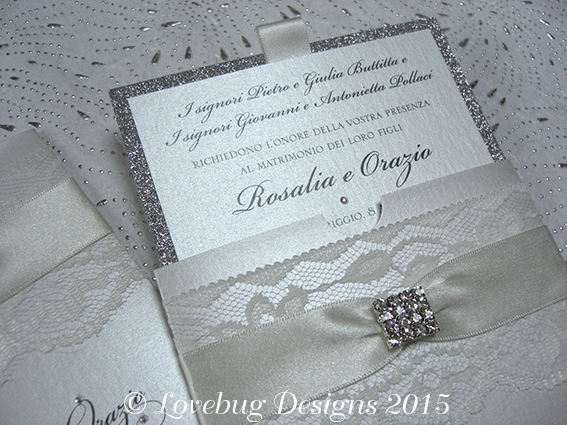 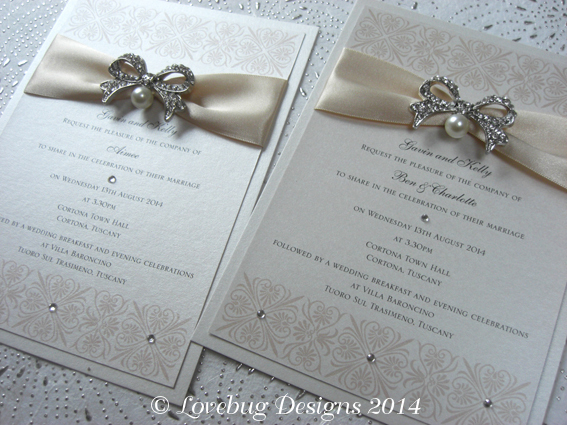 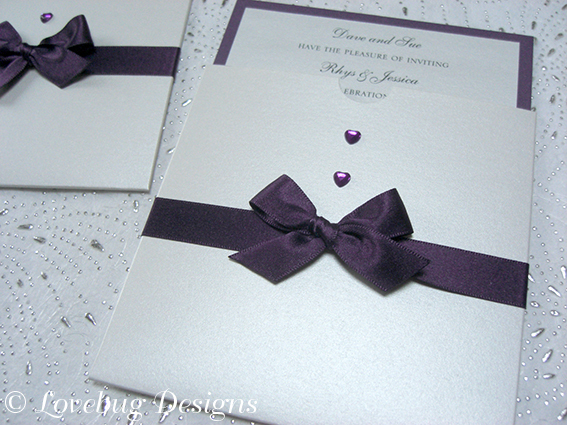 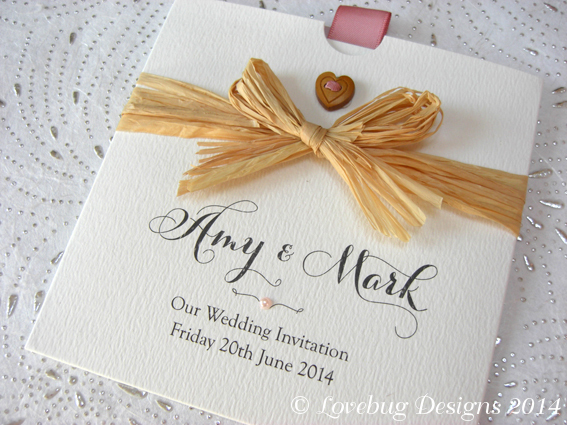 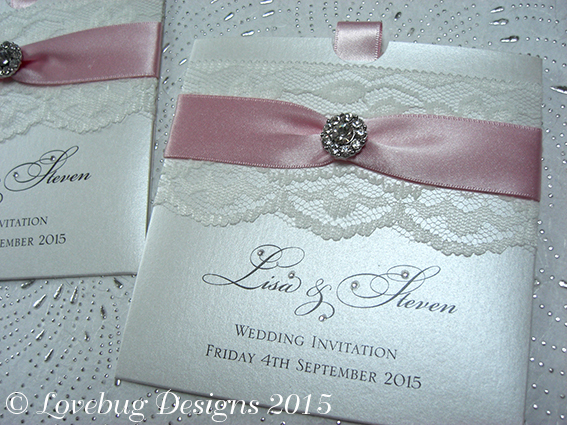 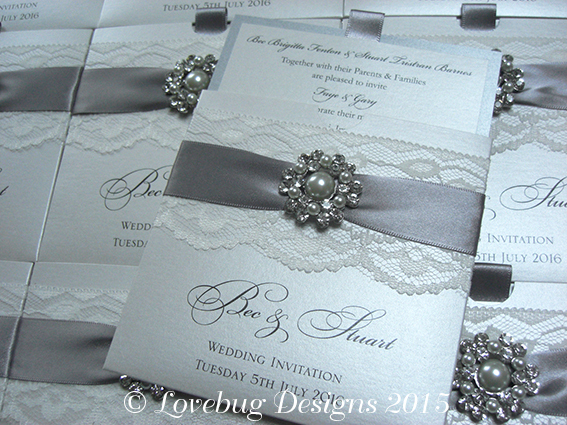 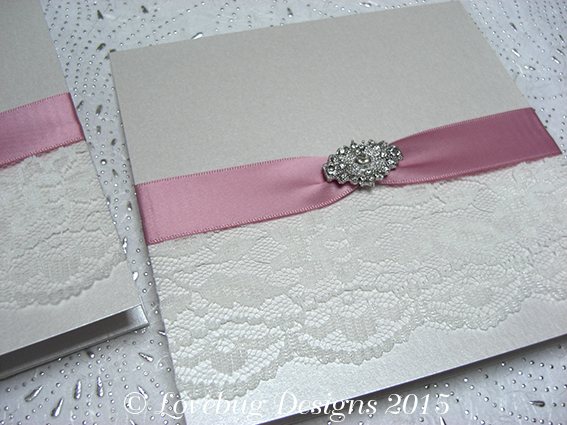 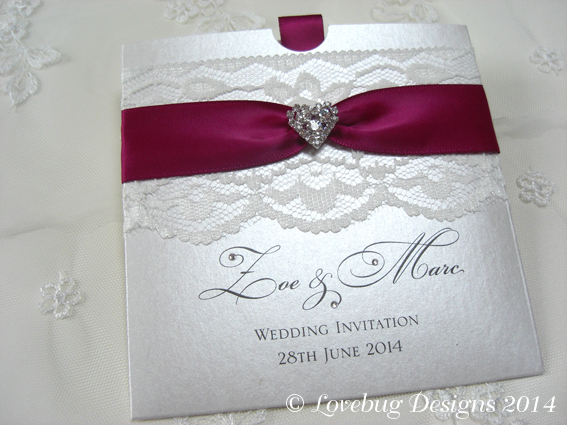 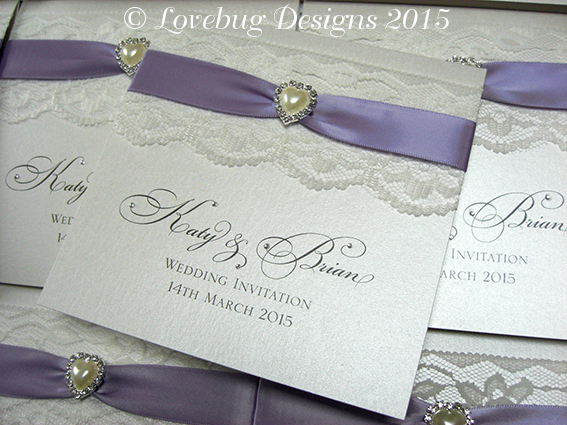 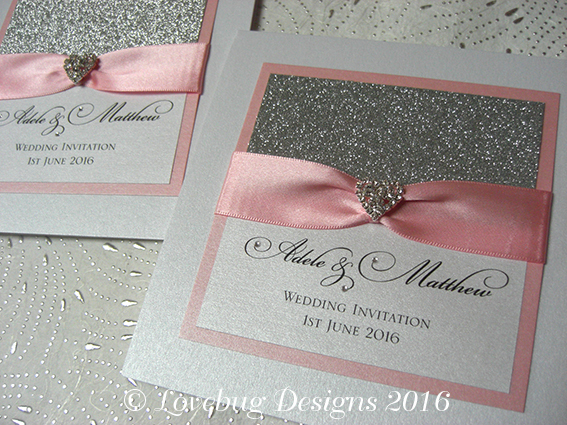 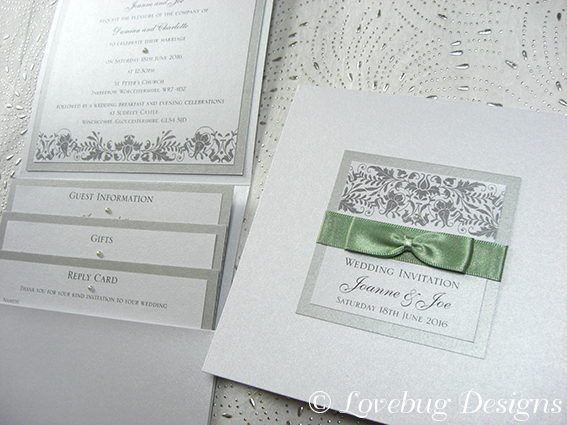 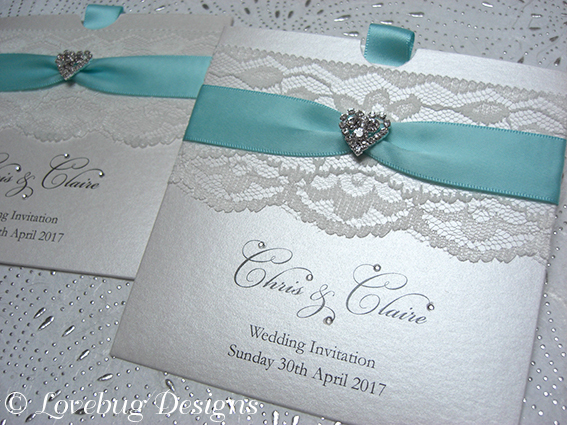 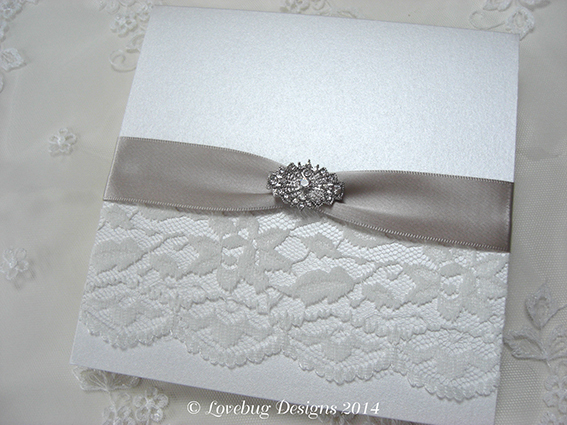 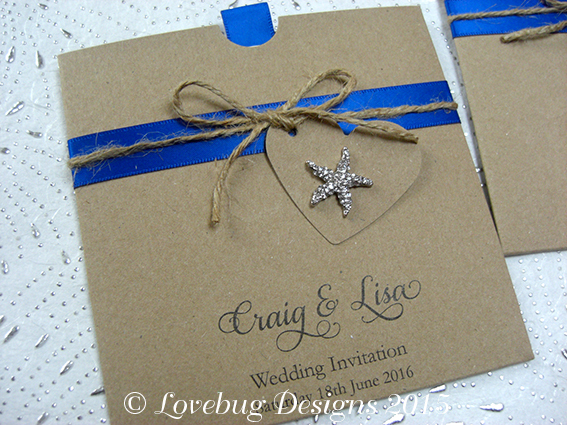 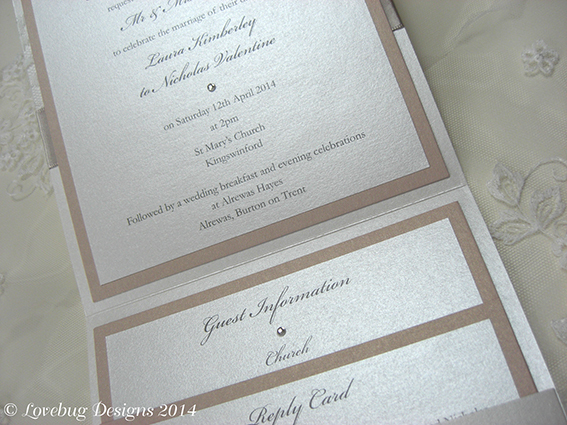 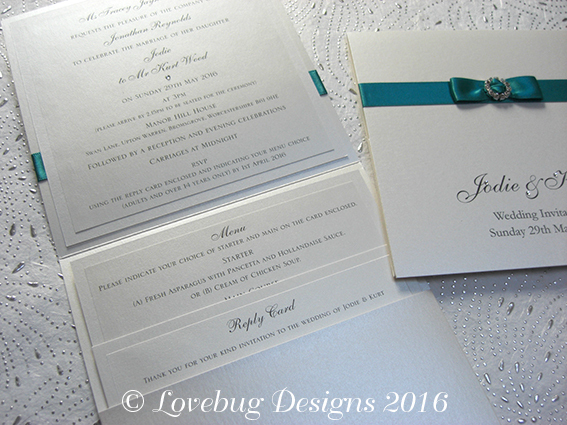 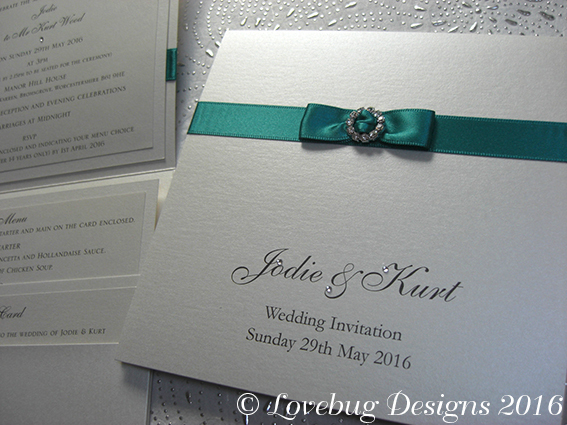 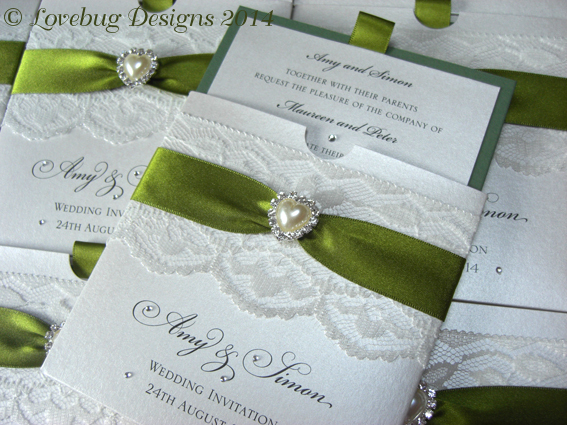 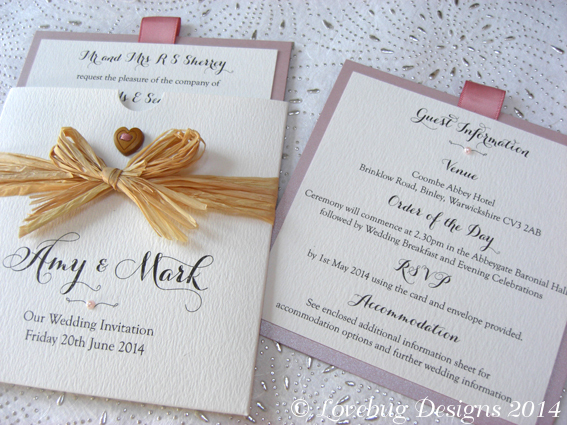 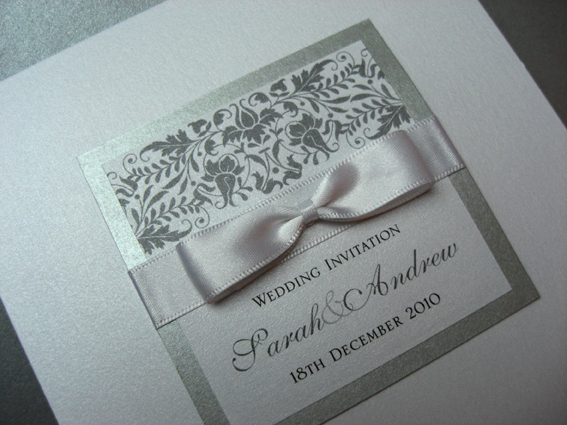 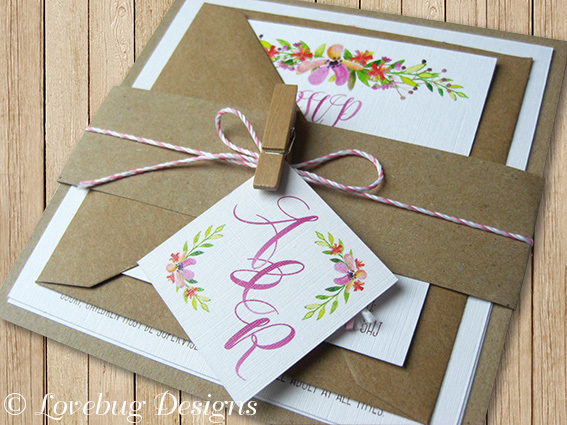 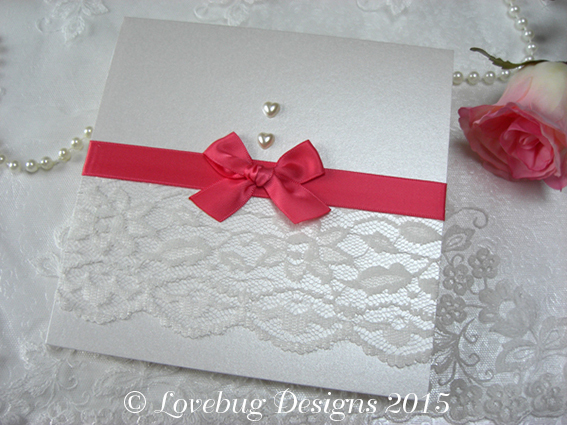 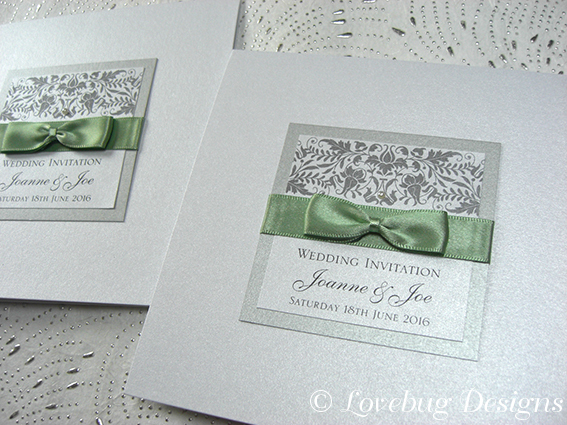 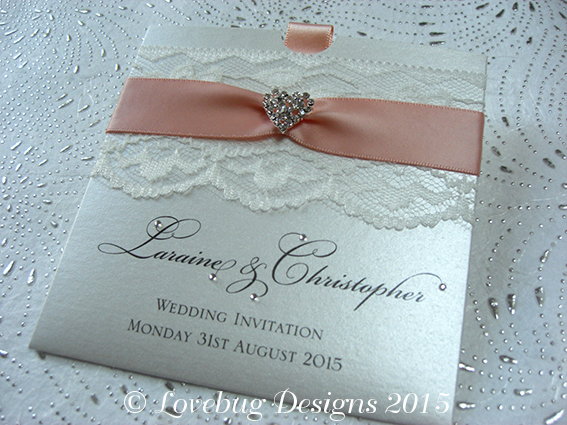 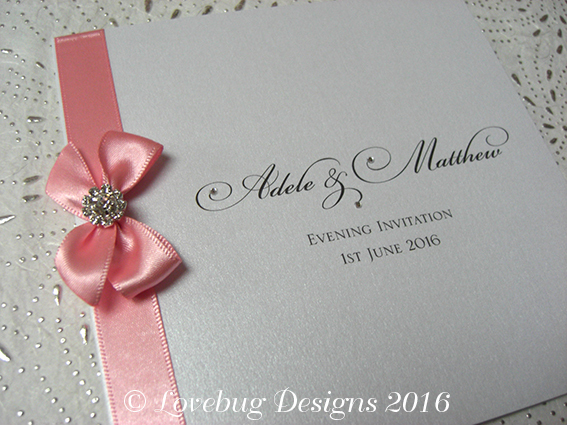 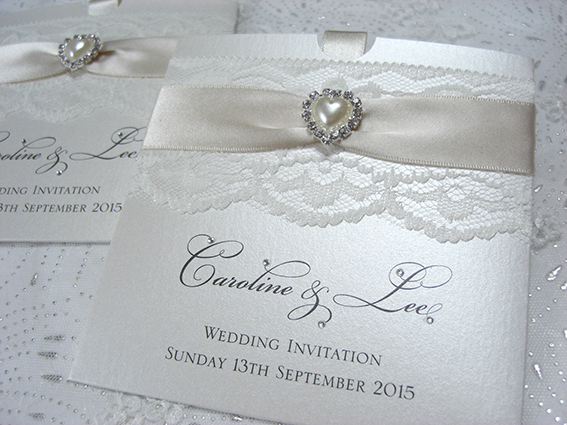 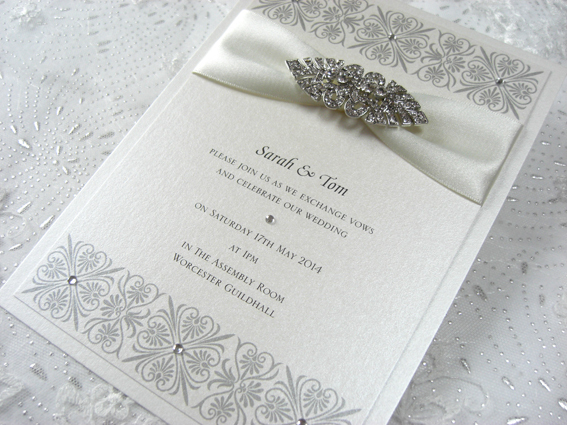 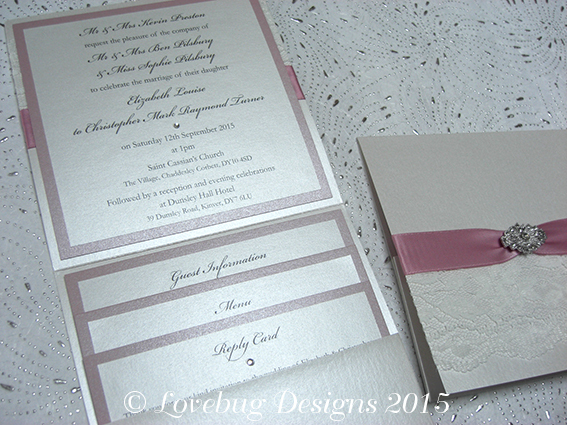 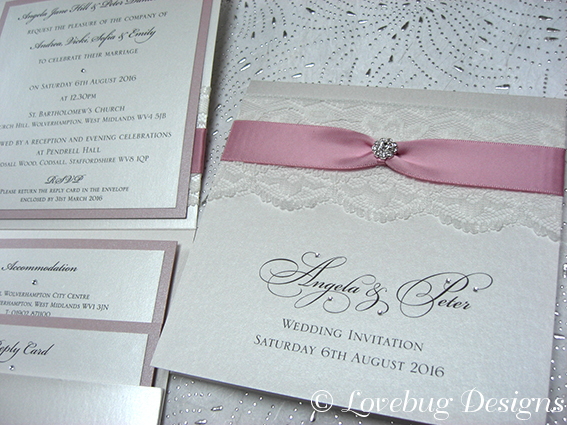 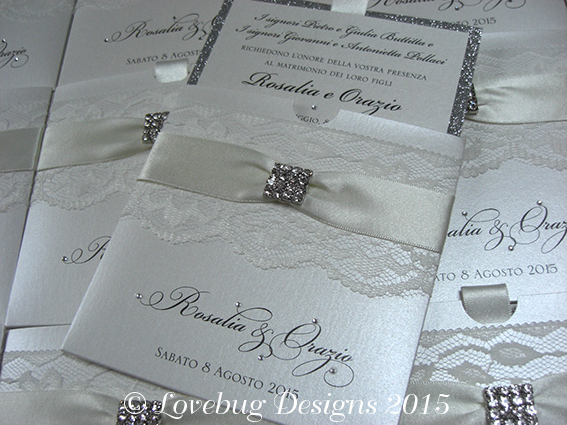 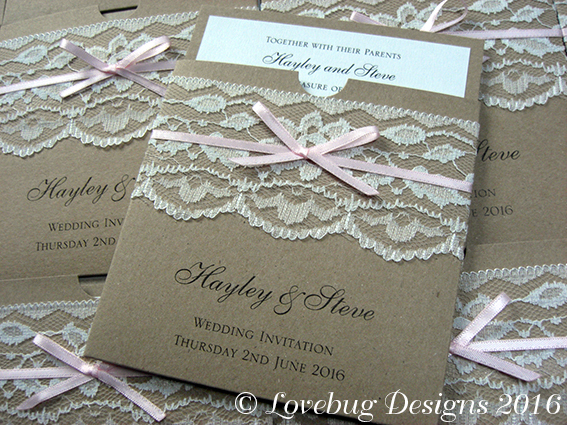 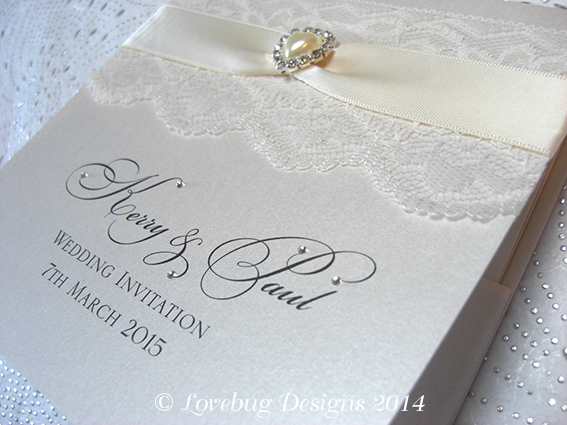 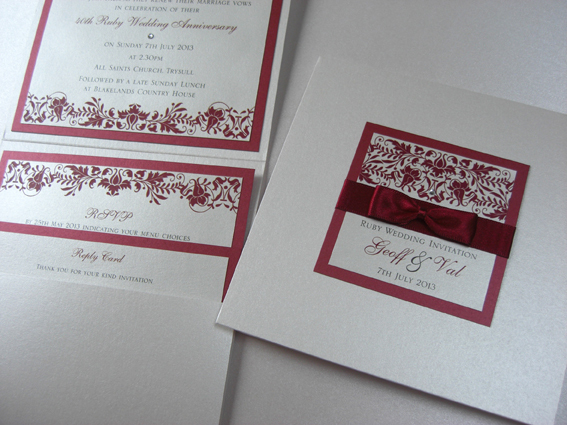 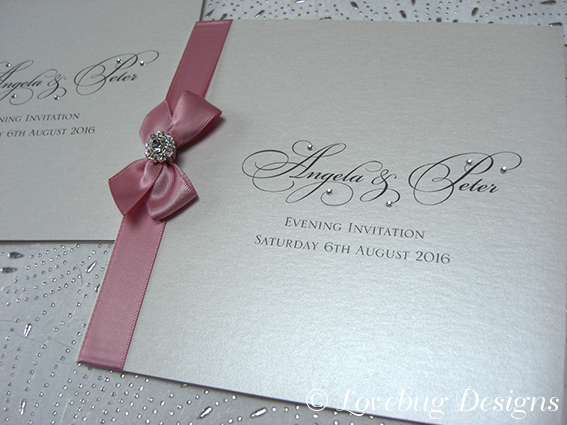 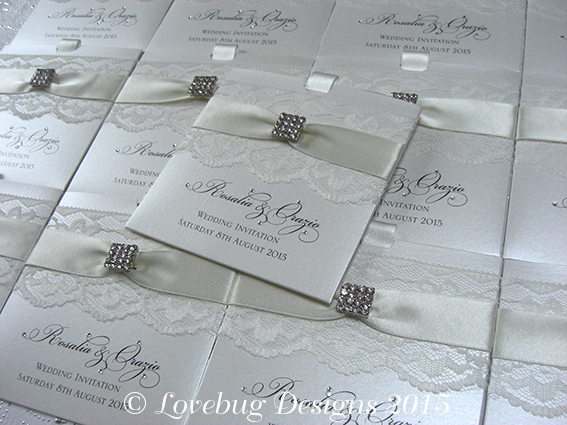 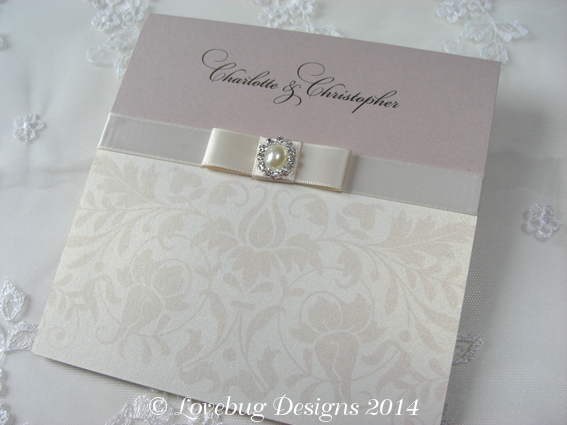 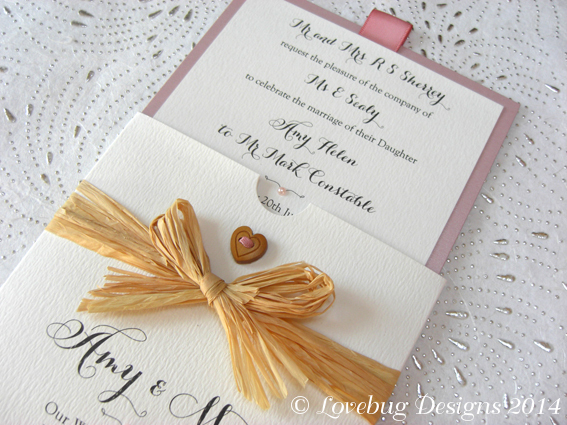 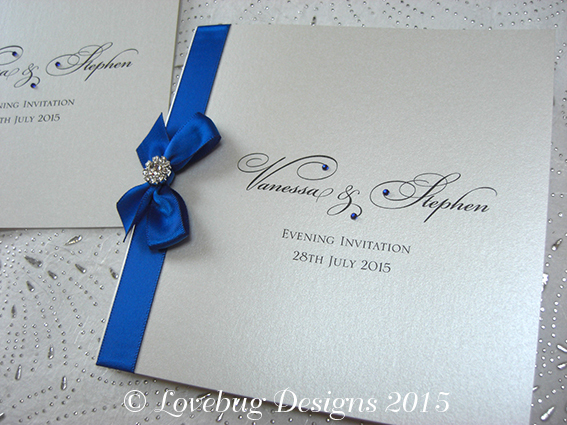 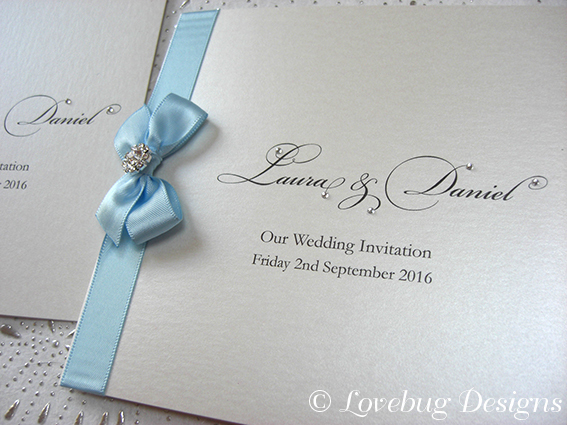 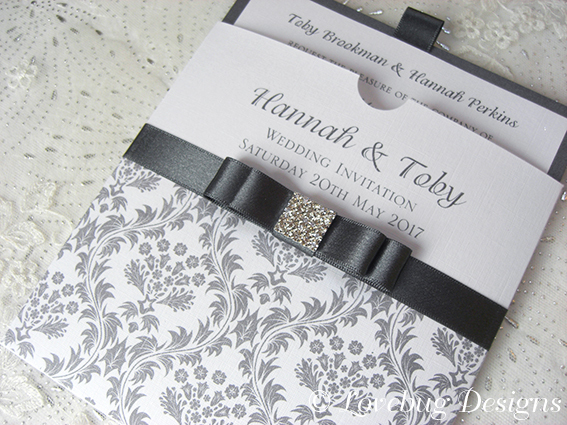 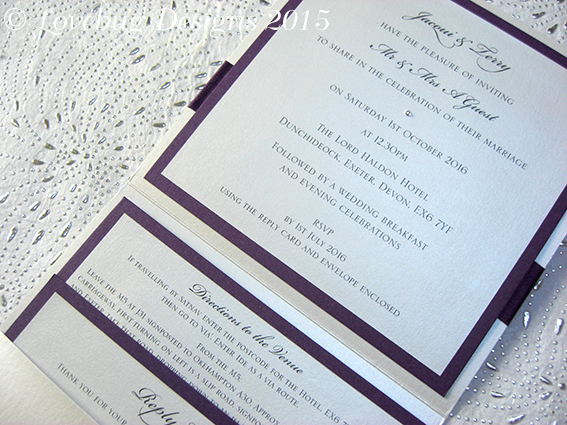 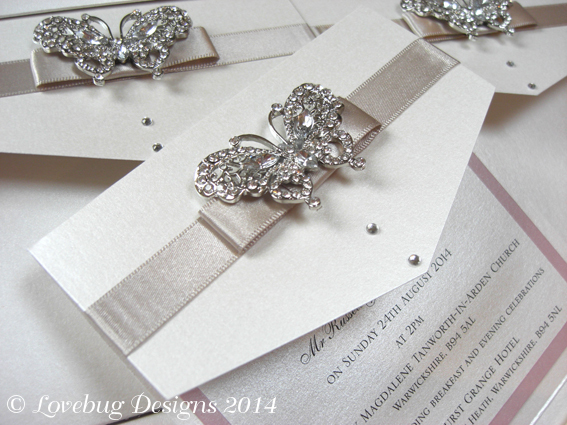 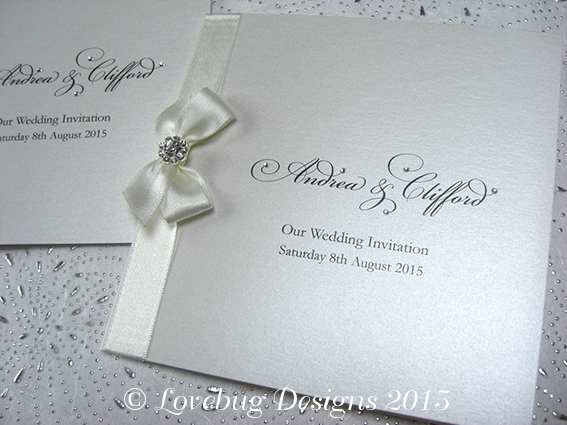 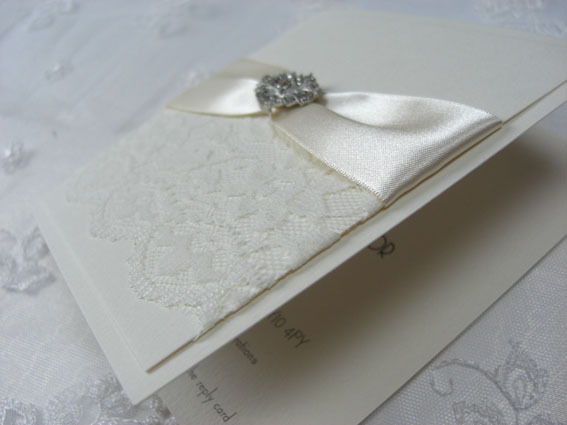 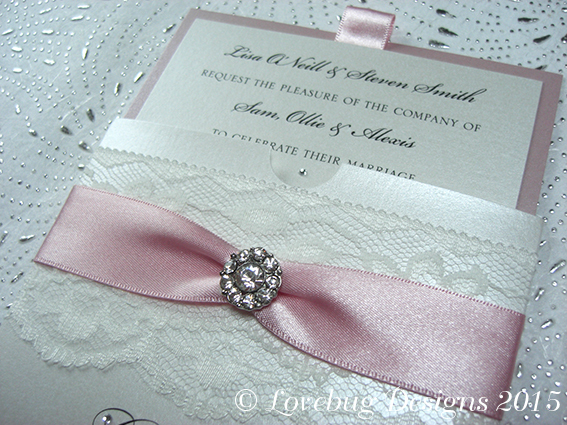 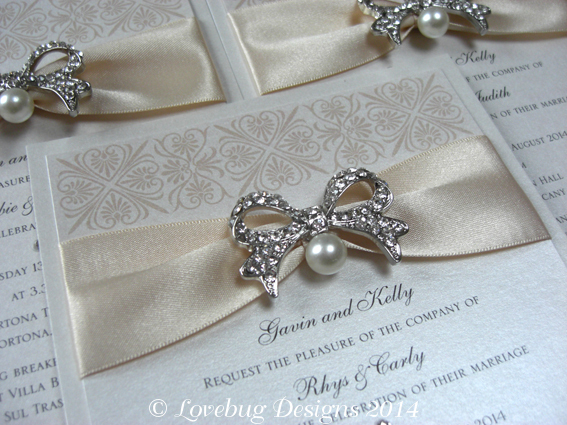 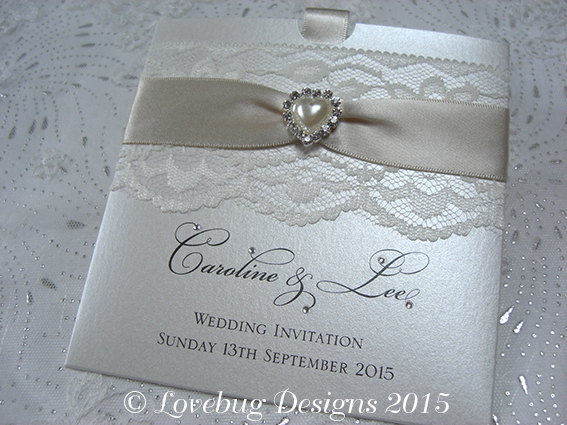 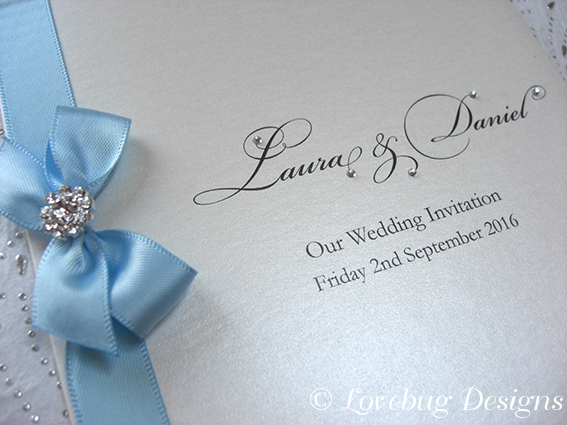 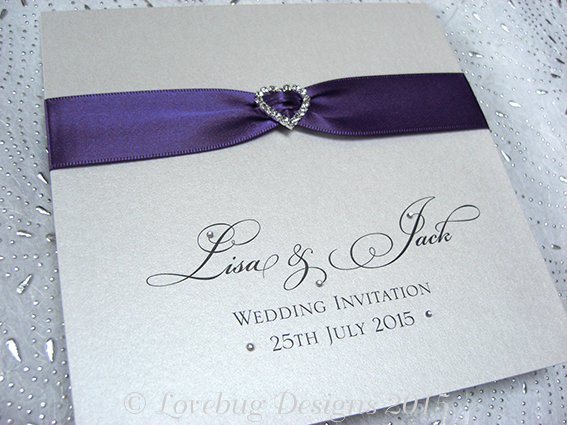 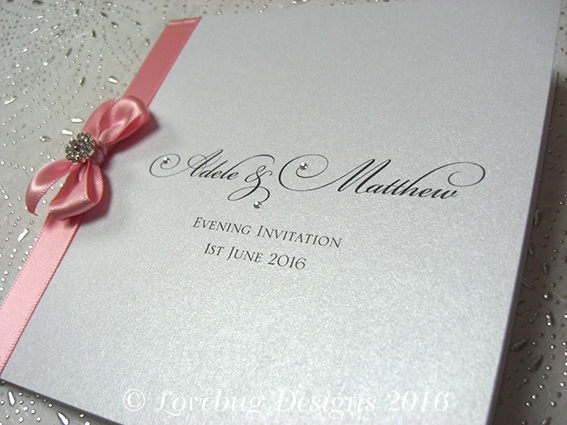 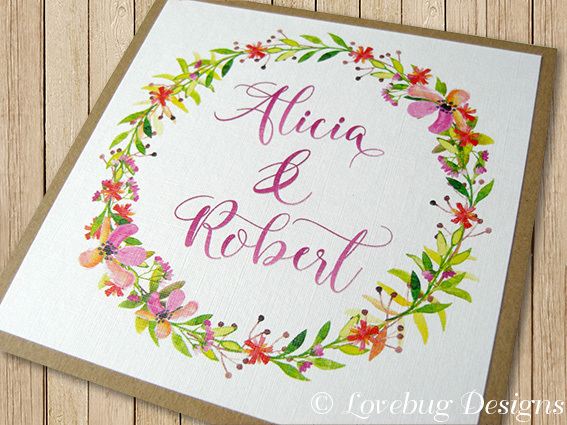 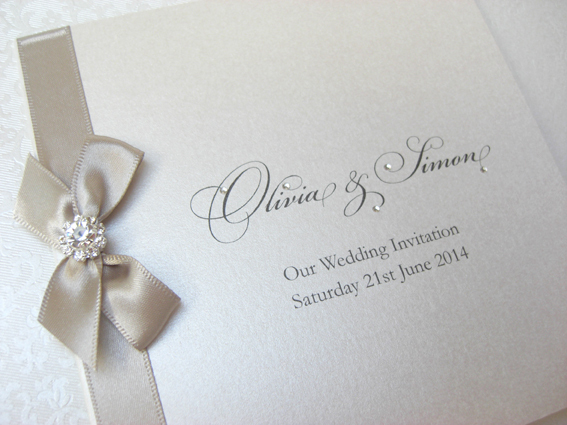 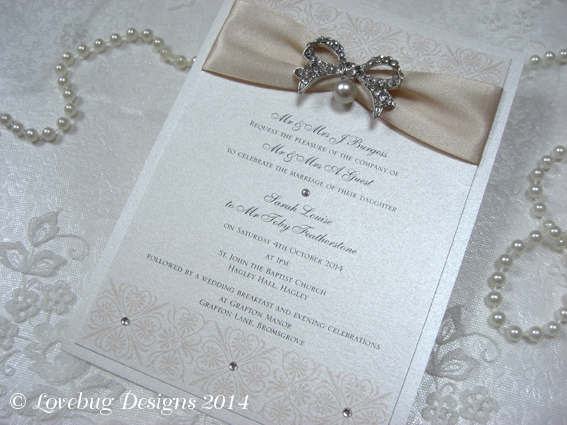 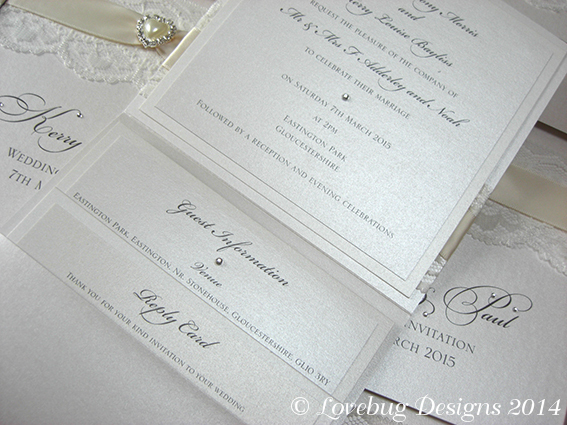 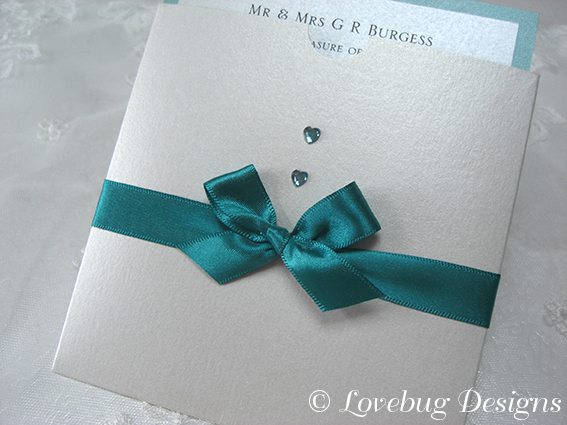 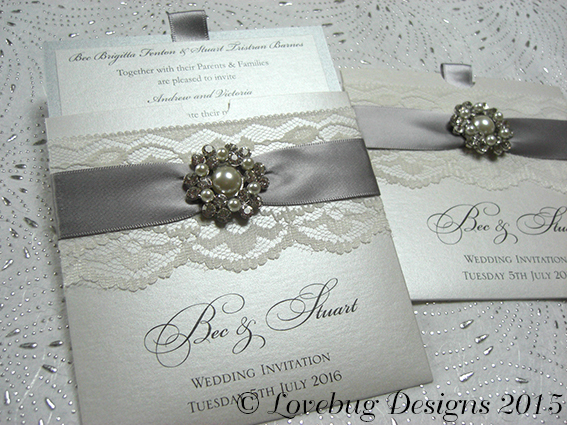 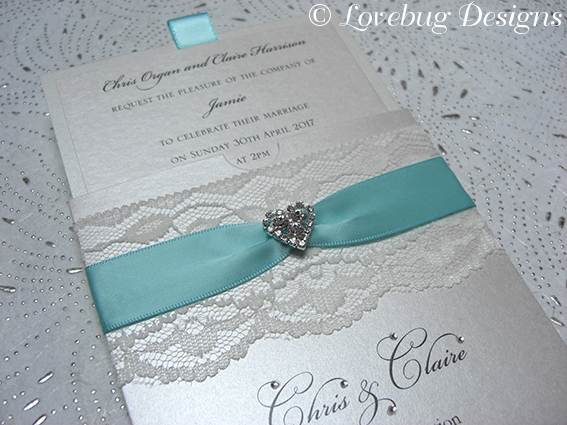 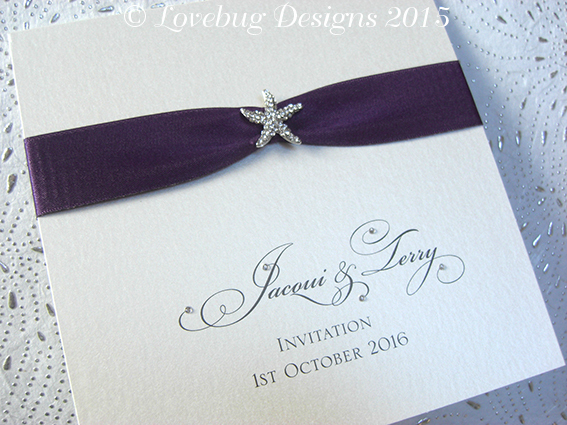 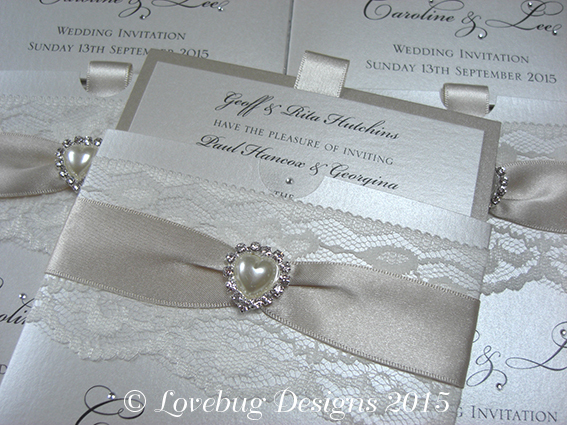 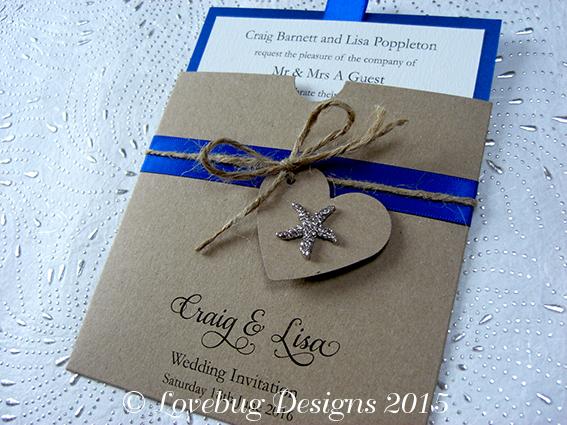 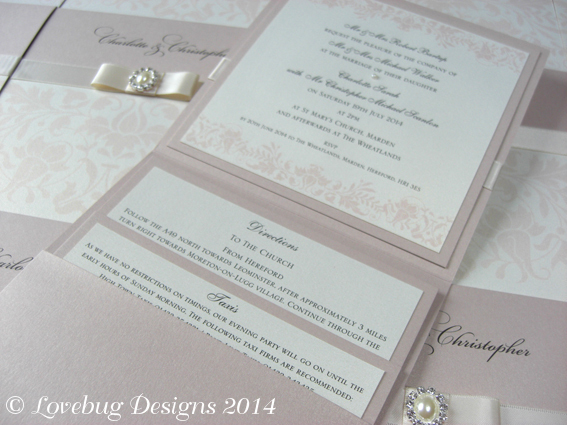 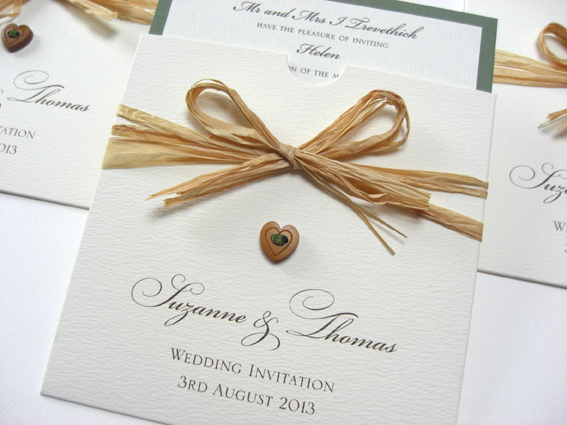 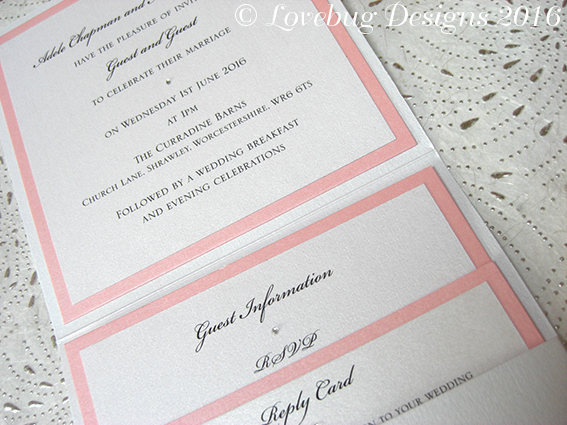 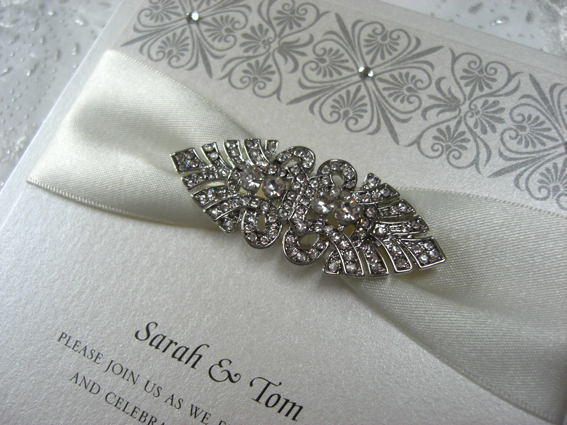 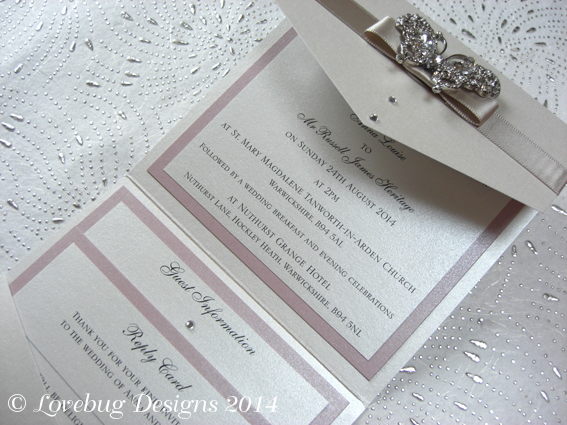 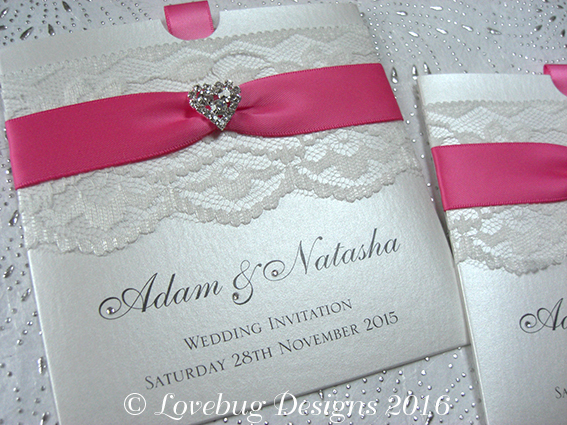 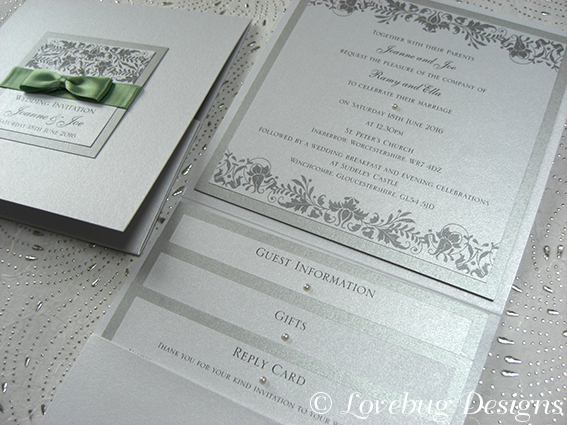 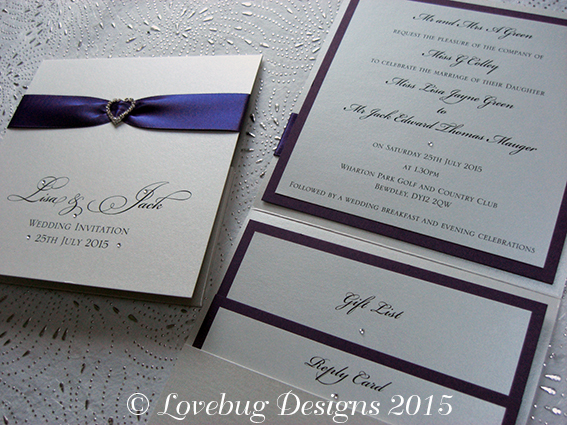 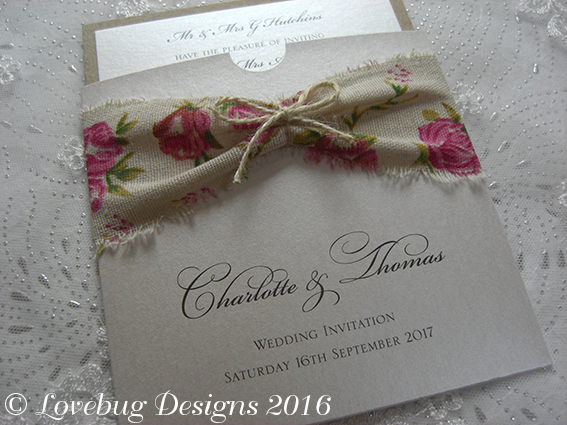 A range of beautiful invitation designs than can be tailored specifically for you. 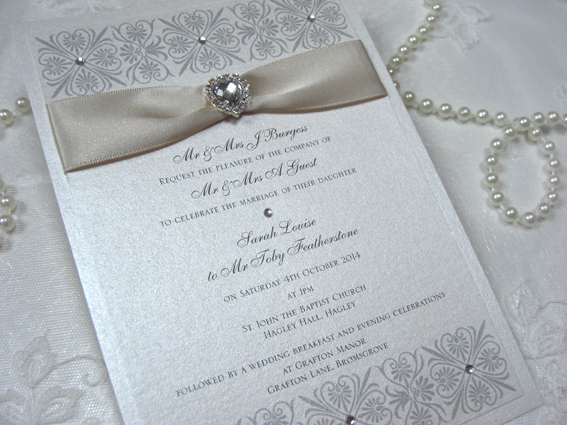 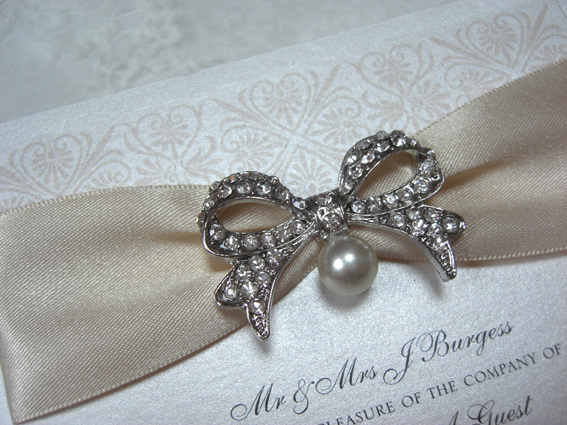 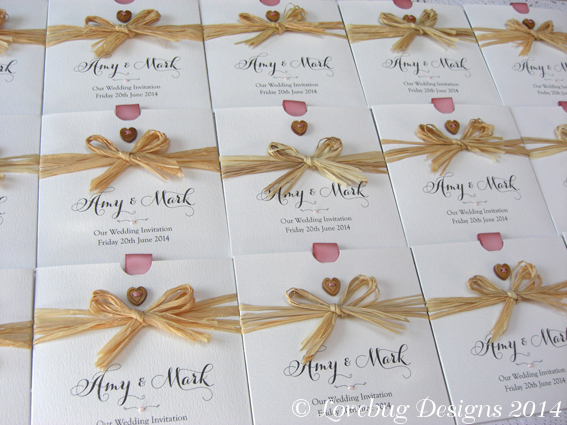 As all items are handmade to order, all designs shown here can be tailored to complement your wedding theme and colours. 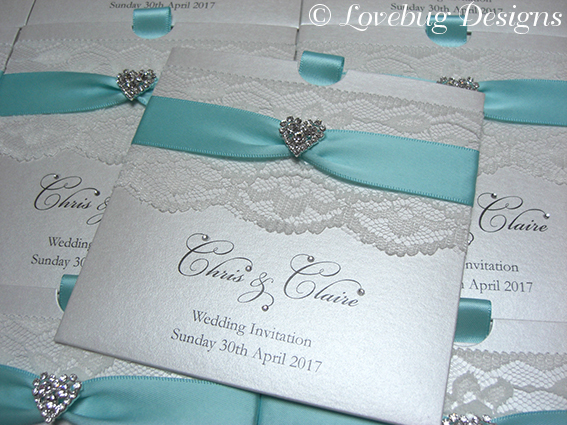 Only luxury cards, quality ribbons and exquisite embellishments are used to create elegant invitations to suit all tastes and budget.